Team Daviot welcomed Andy McKechnie into school today. Andy is an international motivational speaker and a former JCI World Public Speaking Champion. He delivered an amazing ‘Jammin Fitness’ workshop for the pupils – and his unique blend of storytelling and multicultural dance provided a very inspirational afternoon. Andy also talked about the importance of physical exercise, stress control and maintaining a positive self-image. It was a very important message delivered in a very engaging way. Thank you, Andy. This entry was posted in Uncategorized on June 30, 2015 by daviotblog. I would like to say a massive thank you to Richard and Lara for delivering a wonderful session on Japanese culture today. They taught us key phrases, answered lots of questions and prepared a wide range of brilliant activities for us all to enjoy. We even got to try seaweed and sushi! It really was a fabulous morning. It was a particularly special session for Kacy. For those who don’t know, it is one of Kacy’s lifelong goals to visit Japan – she is even teaching herself Japanese! We are all so pleased the Storton family decided to join Team Daviot earlier this year. They are a tremendous asset to the school. Domo arigatou. A very big well done to Fern and Katie for transferring the cooking skills they learnt at school to their own kitchen at home. Your pasta looks belissimo! I’m getting hungry just looking at it! This entry was posted in Uncategorized on June 29, 2015 by daviotblog. As the summer holiday quickly approaches, I would like to put out an SOS for some gardening assistance. 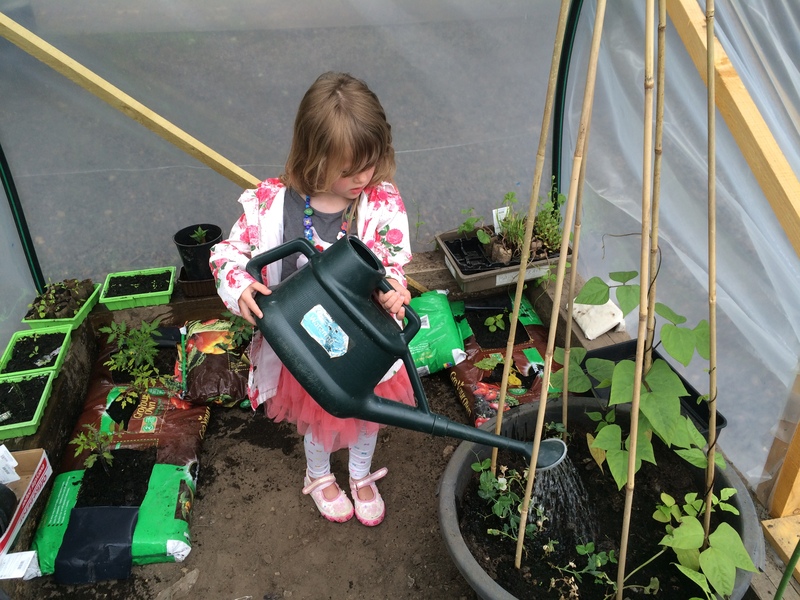 If any parents could lend a hand watering the plants in the polytunnel over the holiday period, it would be greatly appreciated. As you can see, Shiloh was doing a fabulous job today – but more helpers are needed. Please let me know if you can help us out. Many thanks. 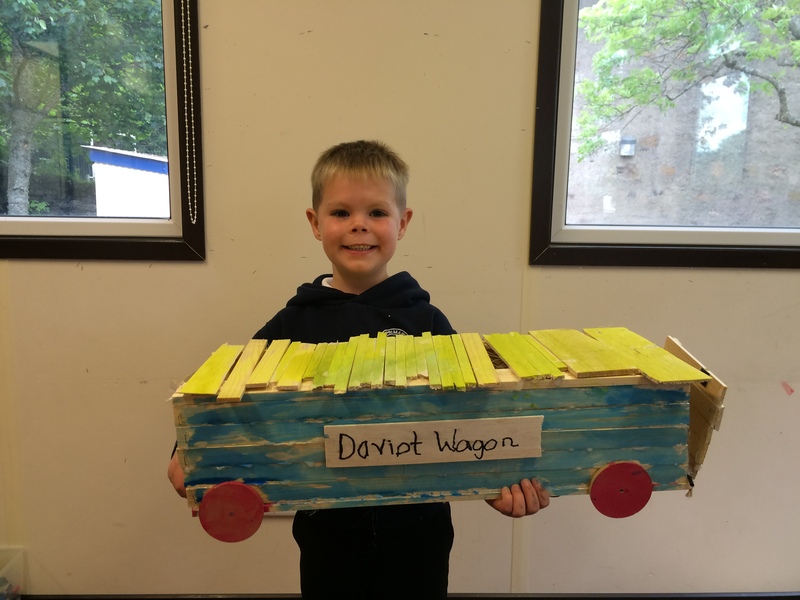 Check out Daniel’s Daviot Wagon. He has worked so hard on this project – and I think you will all agree, it is an engineering masterpiece!!! Well done, young man! I am so proud of you. Team Daviot would like to say grazie mille to Marco for coming into school today to teach us all how to make tagliatelle pasta. I have to say, not only was Marco an amazing cook, he was a fantastic teacher and a true gentleman. We were all captivated. Consequently, it was a fabulous afternoon – and the results were spectacular! I would also like to say a huge thank you to Heather and Lara for organising the visit and helping us in the kitchen. 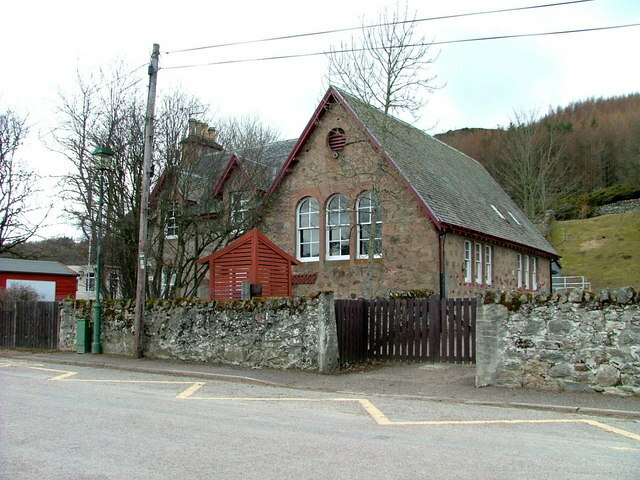 The generosity of spirt demonstrated by the parents and partners of Daviot Primary School never ceases to amaze me. This entry was posted in Uncategorized on June 26, 2015 by daviotblog. This entry was posted in Uncategorized on June 24, 2015 by daviotblog.